CÆA continues to use membership funds to support student exhibits, the two most notable being the Scholastic Art Awards held annually at the Hartford Art School and the Youth Art Celebration. These events not only showcase student work, they also give away thousands of dollars worth of scholarships to high school students pursuing artistic careers. 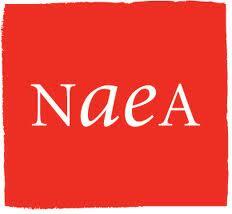 The opportunity to apply for Professional Development Grants to attend the NAEA Convention and summer workshops is now available to members in good standing. Another scholarship opportunity funded through CÆA is the Robert Saunders Scholarship, which aides aspiring art educators. CÆA also offers Visions Magazine, now as an online resource for members. Members also receive information about important legislation and events that affect Connecticut art educators through email blasts.